Congratulations to John Le Page who has just received an award for fifteen years dedicated service. John originally joined the Patient Transport Service in 1992 before moving the emergency ambulance service a year later. He completed his Emergency Medical Technician training at the Southern Ambulance College in Chippenham in 1993 and then progressed to become a Paramedic in 1996. John took a short break from the service in 2002, joining a finance company and then the Guernsey Police, before returning in 2003. He was promoted to the position of Sub Officer and then Station Officer. During his ambulance career John has been a member of every rescue service which was operated at that time, becoming a principal member of the cliff rescue team, an operator of the hyperbaric chamber and crew on the inshore rescue boats. He also became a member of the islands Maritime Incident Response Group which enabled him to be taken to a ship in distress to treat patients. 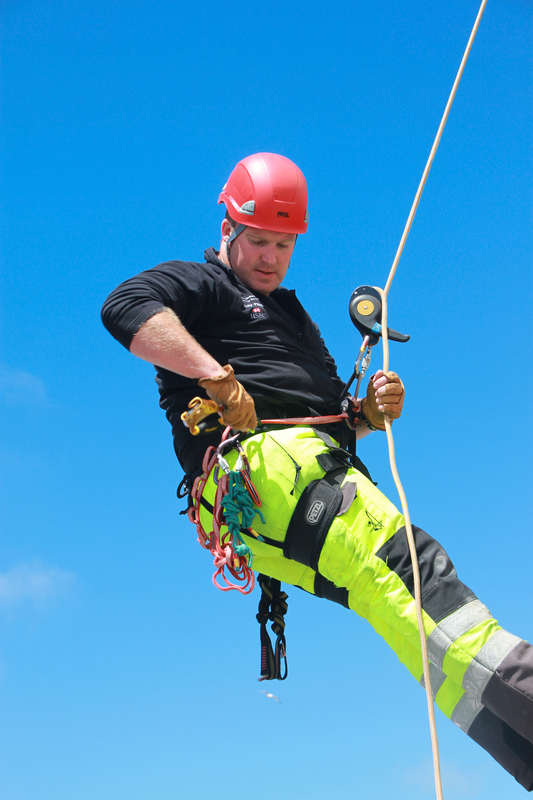 This role included helicopter underwater escape training and the use of breathing apparatus. John was instrumental in the rescue of two people from an upturned and sinking powerboat during the World Powerboating Championships in Guernsey. Following this rescue John was warded the Ambulance Service Association Bravery Medal, which was presented to him at the Ambulance Service Conference in Harrogate. John twice appeared on the BBC TV programme “999”. First for the powerboat rescue and then after the rescue of a workman from an upturned concrete mixer lorry. While working as a police officer John received the award of a Bar to the Order of St John Life Saving Medal for the rescue of a man from the sea in Havelet Bay, he also received the Chief of Police Commendation for his part in this incident. John received yet another commendation, this time from the Chief Ambulance Officer, for the rescue of a teenage girl from rocks at Soldier Bay. Away from the drama of rescues, John received further recognition for the time he spent working on the implementation of the Joint Emergency Services Control Centre project, one of the most complex and challenging projects which the ambulance service has been involved with. His day-to-day ambulance work has also been greatly appreciated by the members of the public. He has received numerous letters of thanks and appreciation for the care and treatment his has given patients during his career. Today John is one of four Station Officers and the team leader for D-Team.